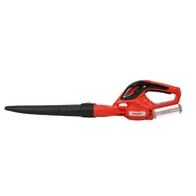 Accu leaf blower. 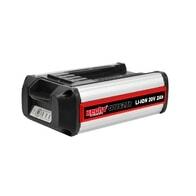 Compatible with HECHT 000620B battery (ACCU 6020 program). Current voltage 20 V. Battery and charger are not included in the package. Accu leaf vac/blower. Compatible with HECHT 005040B battery (ACCU 5040 program). 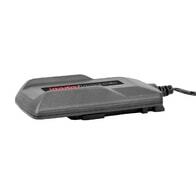 Current voltage 40 V. Battery and charger are not included in the package. Accu chain saw with 40V motor. Length of OREGON bar 35 cm. Weight 5.5 kg. The battery and charger are not included. 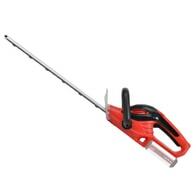 ACCU pole saw with a 20cm long chain bar. Telescopic tube 2,3 – 2,8 m. ACCU program 5040. The battery and charger are not included! Akumulátorová sekačka bez pojezdu, akumulátor li-ion 20 V / 2,5 Ah. Záběr 32 cm. Koš 26 l. Součást accu programu 6020. Accu chainsaw, Compatible with ACCU program 5040. HECHT 1434 – electric lawn mower, manually pushed. Central adjustment of cutting height, power input 1400W – turbo engine. Working width - 34 cm, collecting box - 35l, weight – 10,5kg. ACCU powered rotary snow thrower - 40 V. Battery 005040B and charger not included in the package. 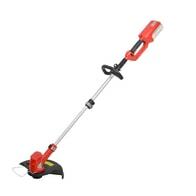 ACCU rotary lawn mower . Battery output DC 40 V. Working width 40 cm Collecting box 60 l.